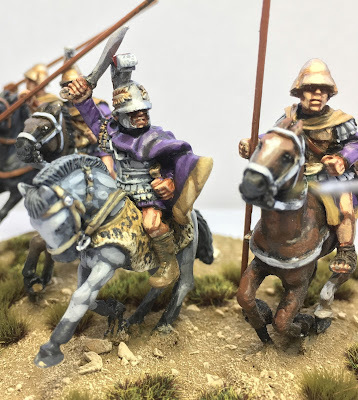 Now days and at my age having a social life outside the family is virtually non-exsitant however, it has left me with a few spare weekends with couple of like minded chaps rolling few dice across a table and pushing a few figures around the table, eating too much cake and coffee......with the odd beer or wine. 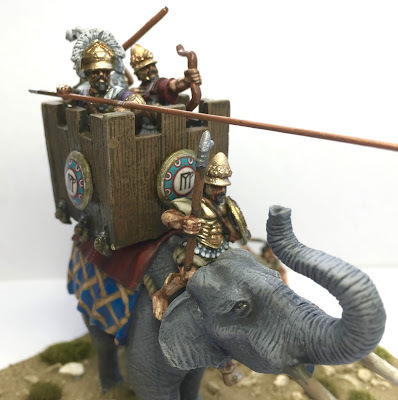 Some say that is perfect and to be honest I do not mind it either. 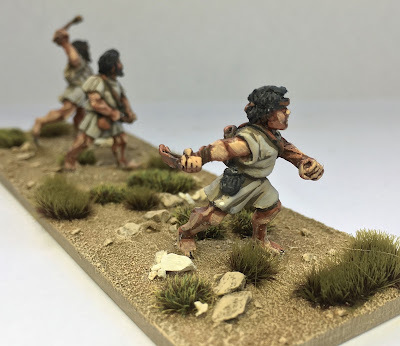 Lately my eyesight is starting to blur and I have been resisting going to the optometrist so I have turned to basing to fill the void. 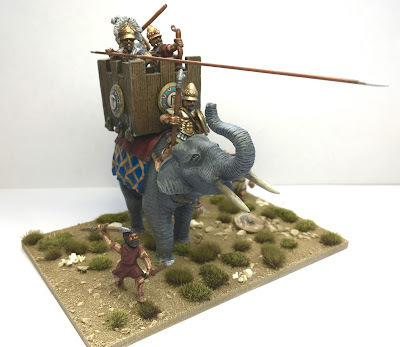 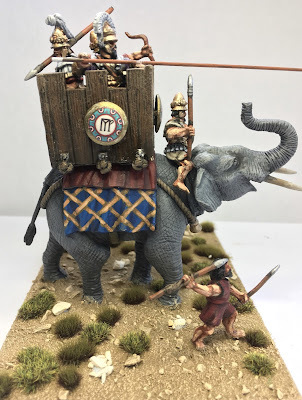 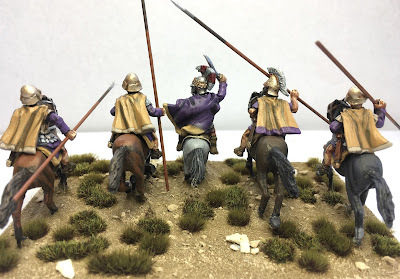 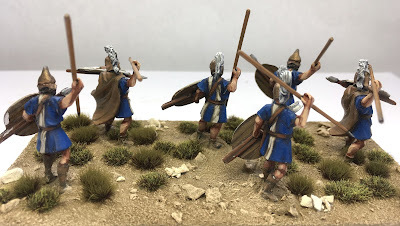 The lads up on the this post I have based for a good friend, Jeff Smith, who is building a Basic Impetvs Pyrrhic Army. These fine fellows represent the first half. 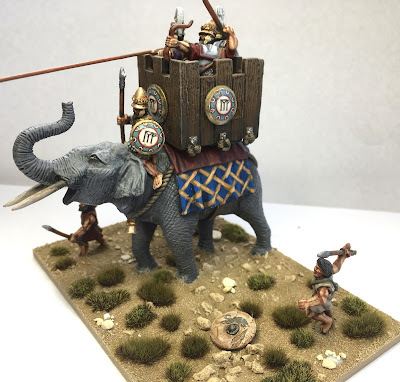 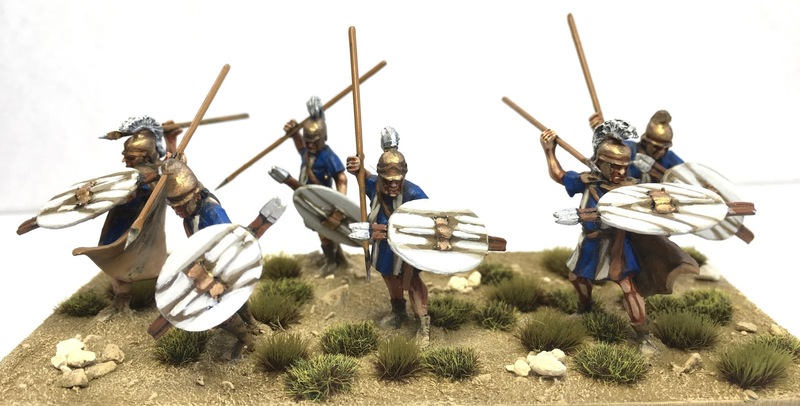 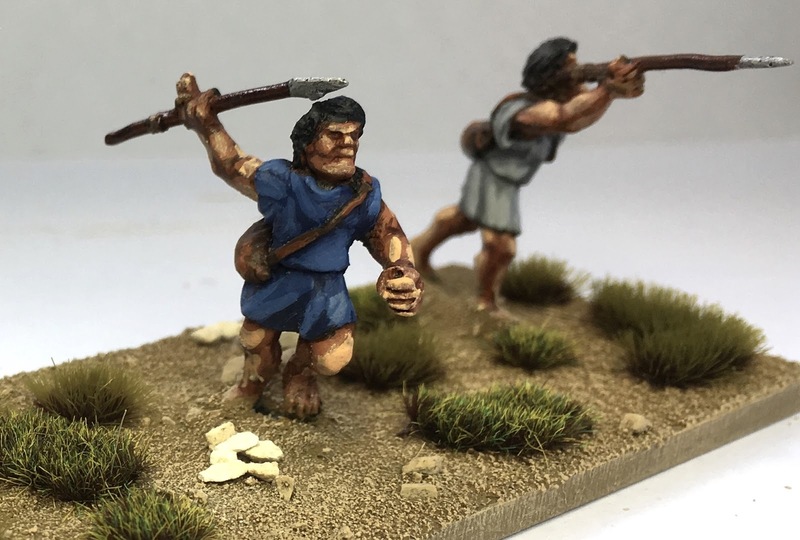 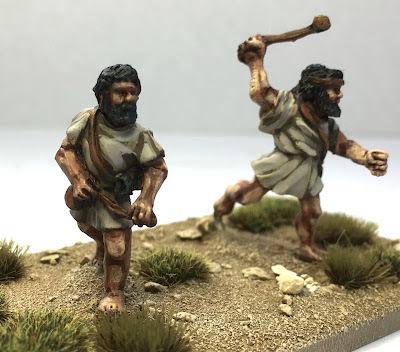 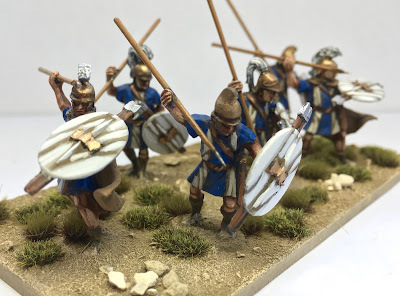 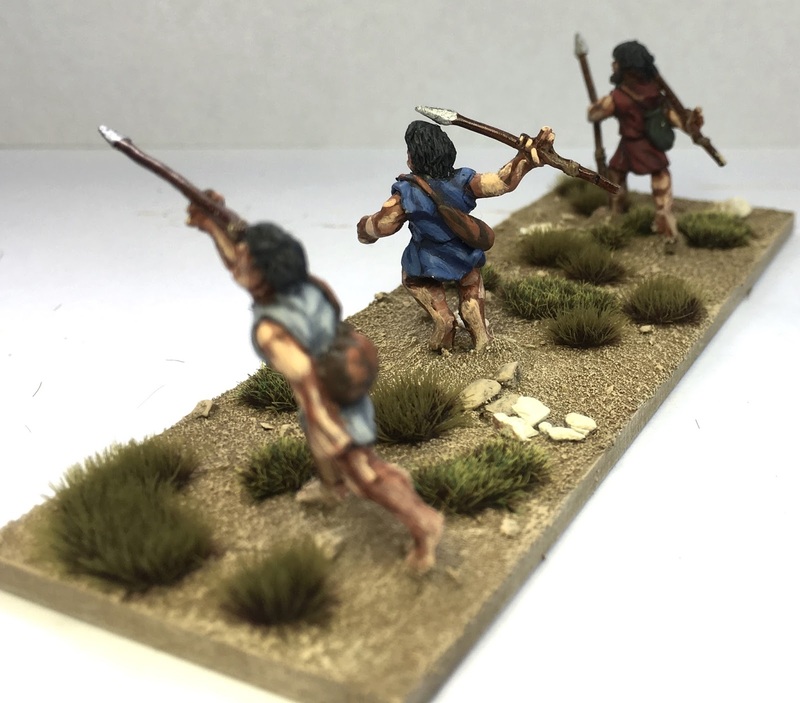 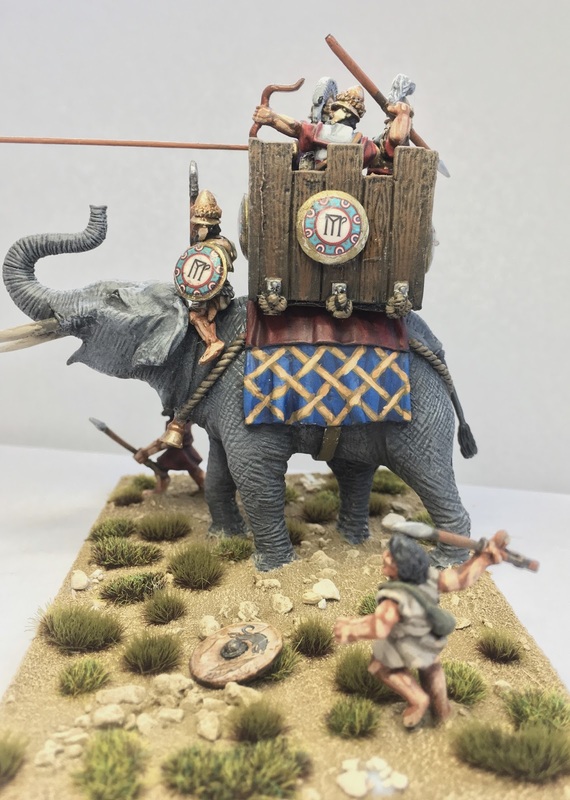 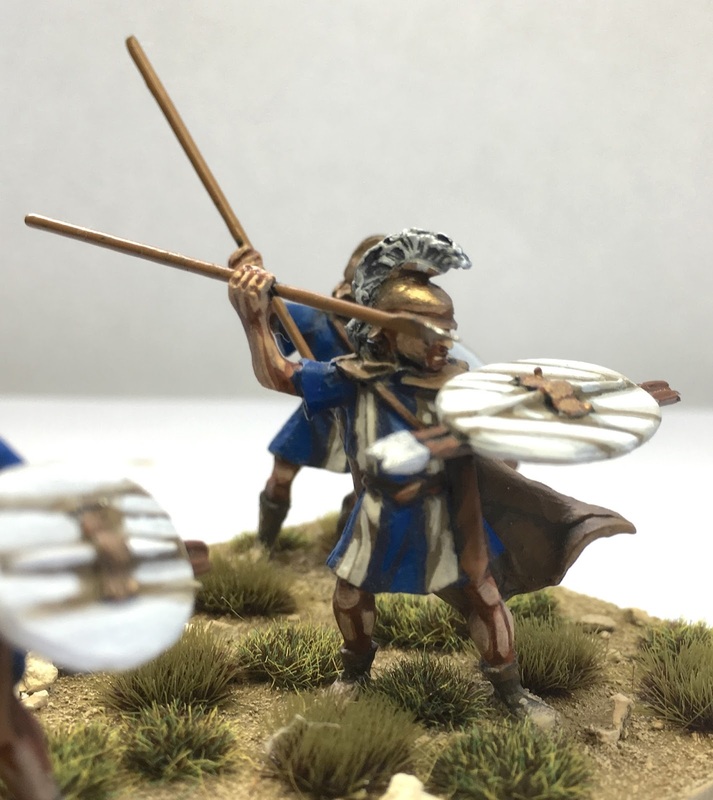 In a container in my office I have four units of pike, two hoplite units and some celts. All the figures today have been painted by our local champion painter - Leroy Simpson, who once again has done a fantastic job. 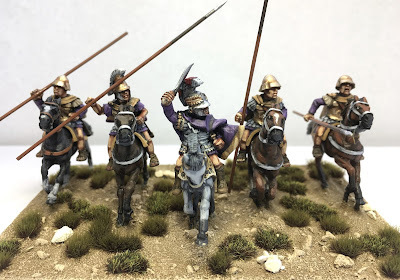 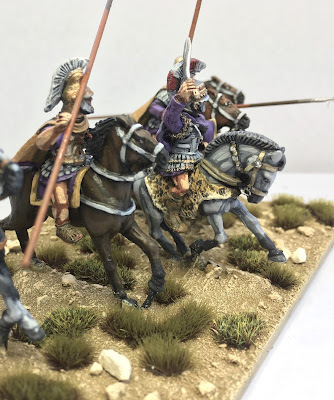 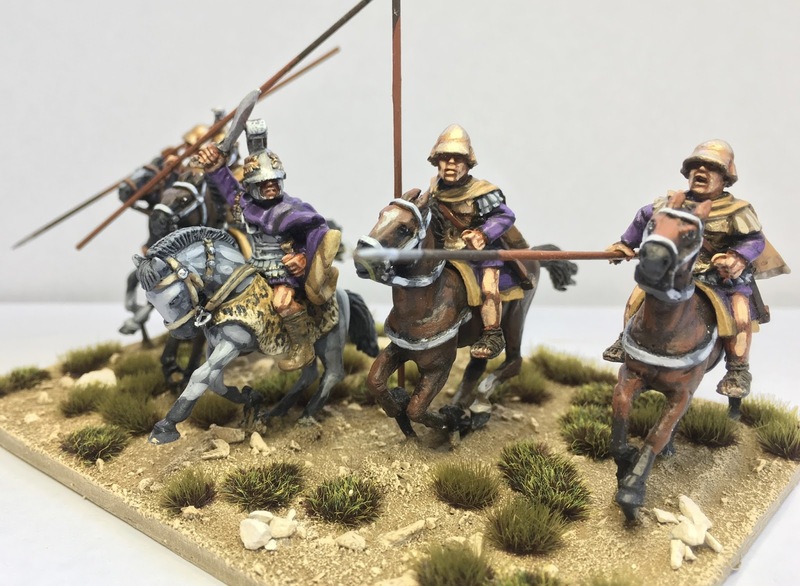 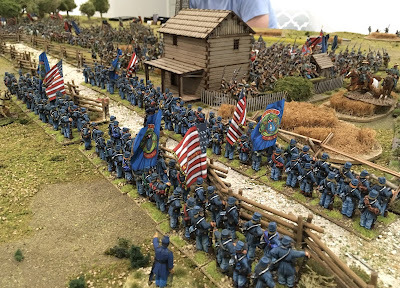 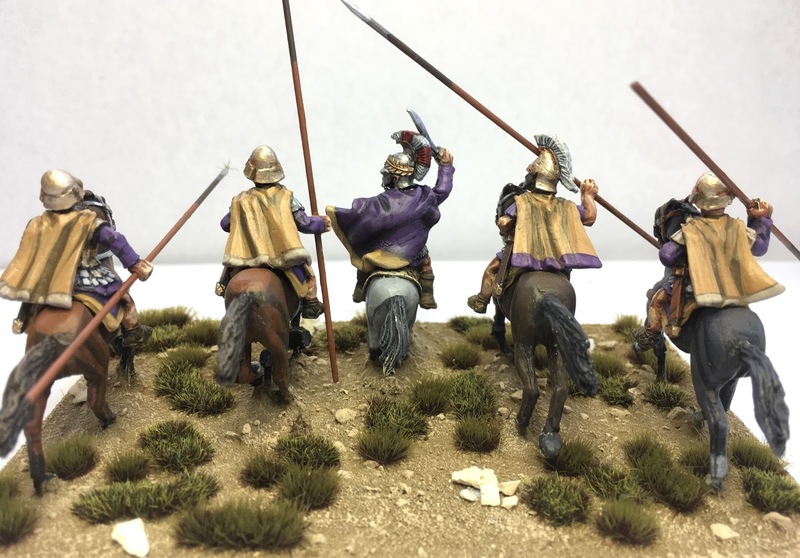 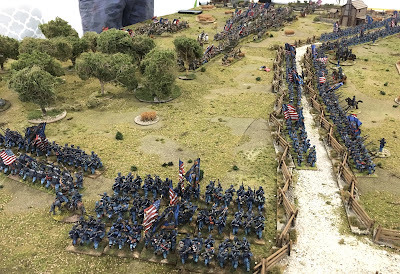 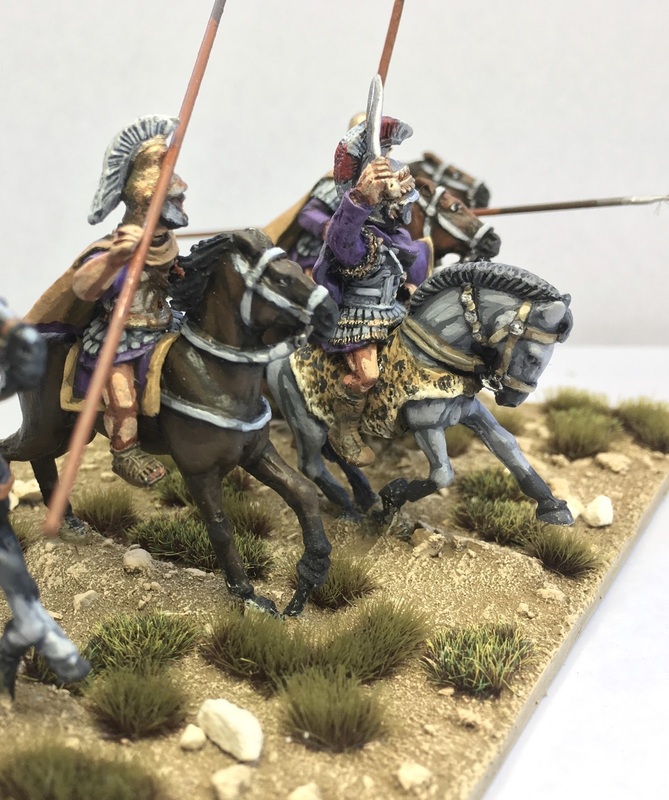 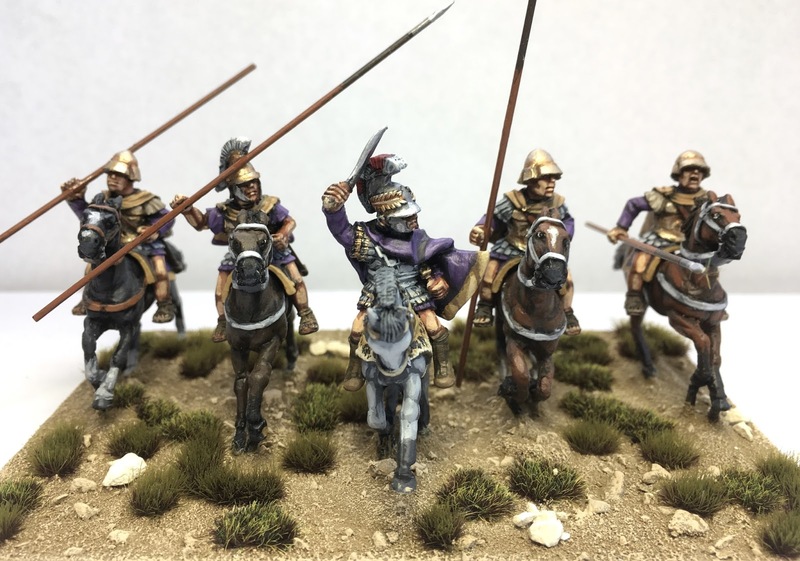 Jeff Army is a mix of 1st Corps, Aventine, Crusader and Warlord Games Miniatures. 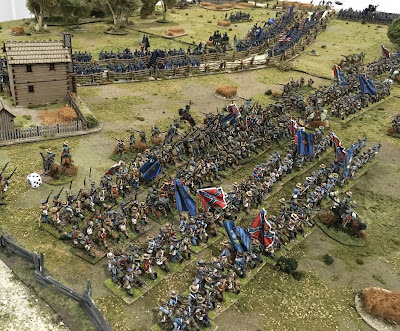 On the morning of the 10th May 1864 Brig Gen Francis Barlow had moved his division (1st Div, 2nd Corps) south of the Po River in hope of finding the flank or an opening in General Lees army. 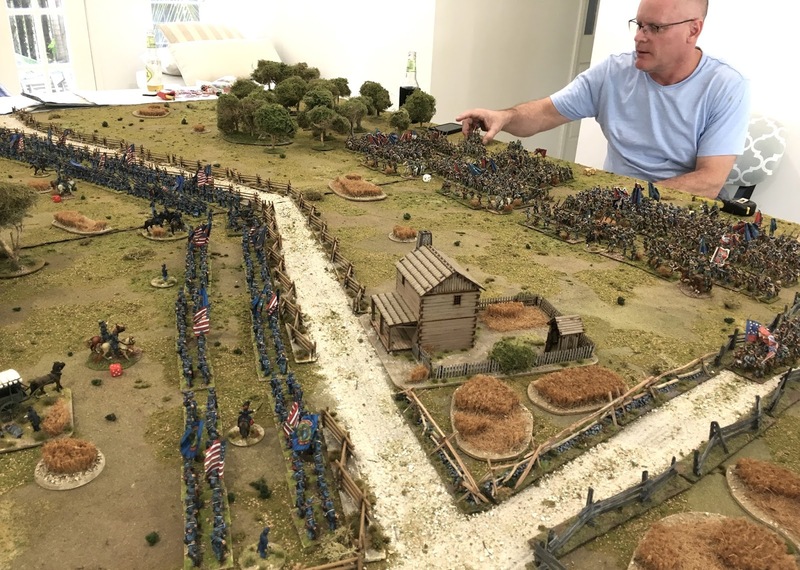 Realising that the division was over extended Gen Francis was commanded to conduct a withdrawal back over the Po River to his rear. However Lee had been watching the movements of the Federal Corps and had manoeuvred LT Gen Ambrose P Hills 3rd Corps to counter the threat. Thus located in an ideal position to counter Barlow's over stretch Division was Maj Gen Henry Heth Division. 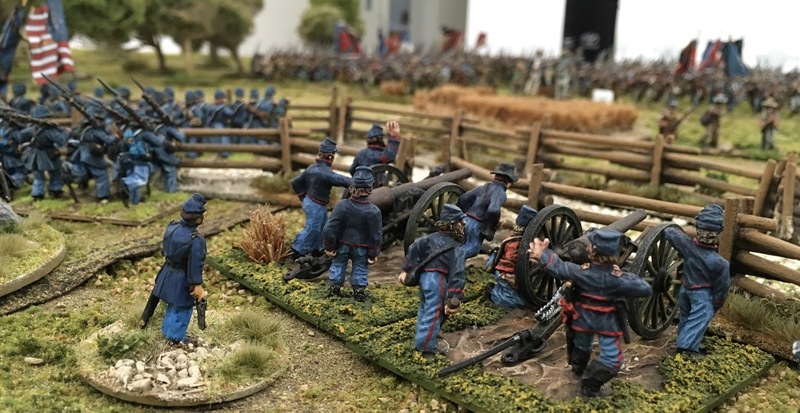 At around 2:30pm that afternoon Barlow began to withdraw is division but it was too late. 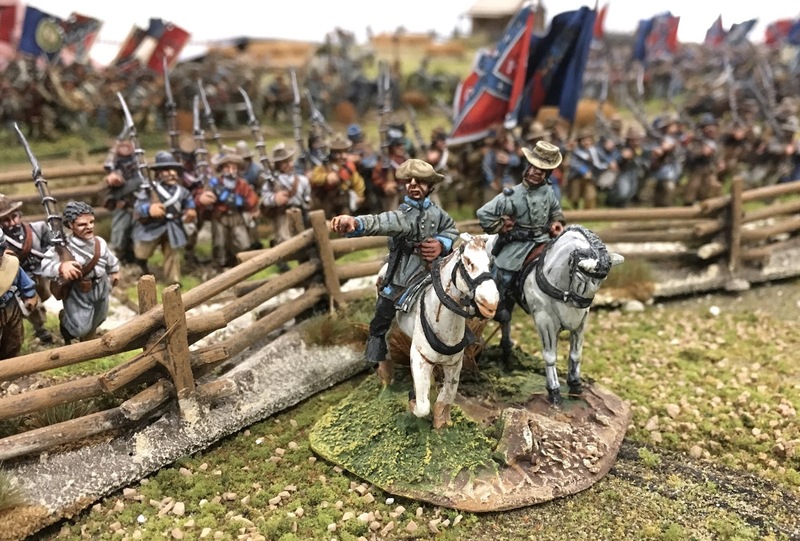 Colonel Paul Frank 3rd Brigade positioned in two lines along the same road. 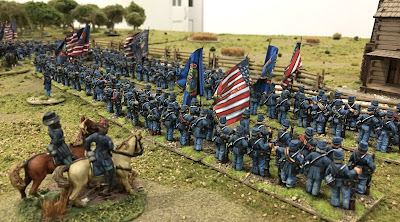 Two brigades of Barlow's 1st Div positioned along the Shady Grove Church Road. 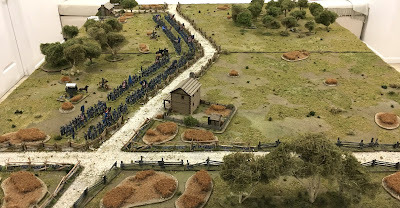 Waite's Shop in just in the foreground. 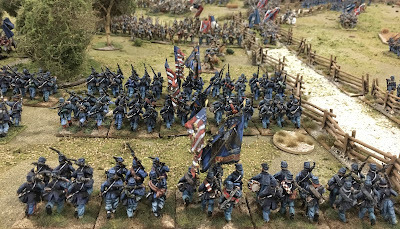 Both Brigades are unaware of the Confederate Division massing for attack directly to their south. 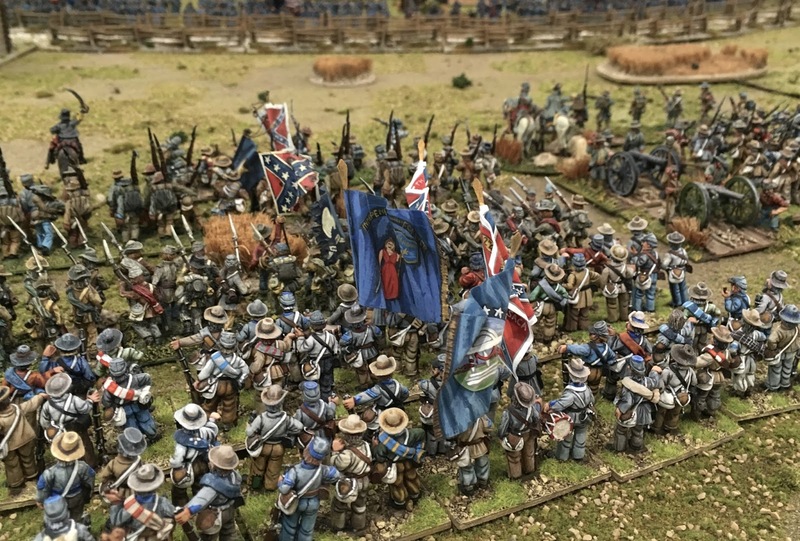 On the left of the Confederate attack Heth massed Brig Gen Joseph Davis's brigade with Brig Gen John Cooke in support. The right of the attack was lead by Brig Gen William Kirkland brigade and closely support by Brig Gen Henry Walker's Brigade. 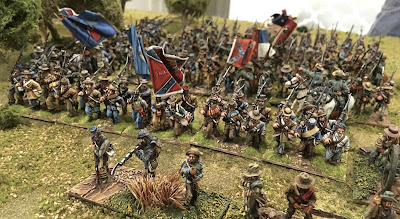 The Confederate point of attack between the two Union Brigades. 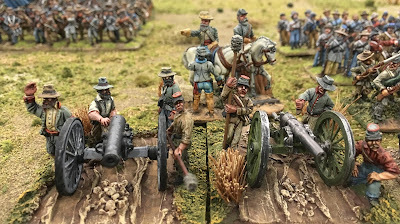 Only limited artillery support from Captain Arnold's guns was available but they had limited effect on the advancing Rebel infantry. 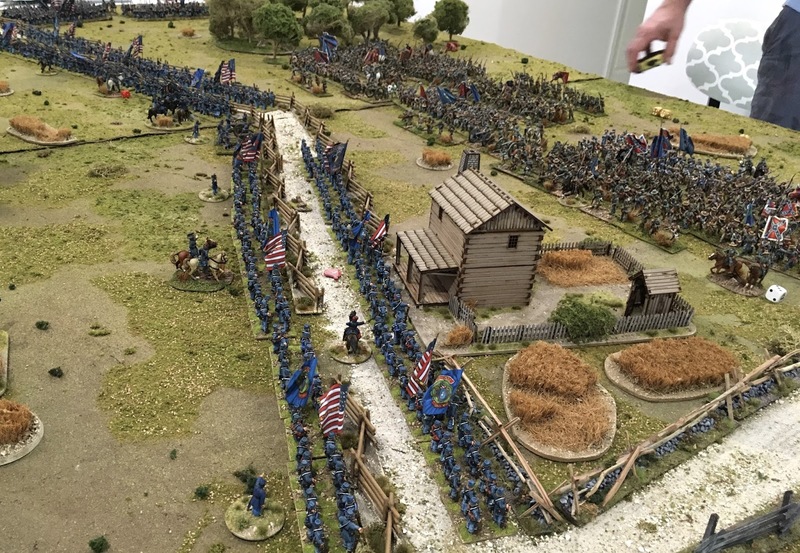 Col Thomas Smyth deploys his 2nd Brigade in support of the other two brigades. 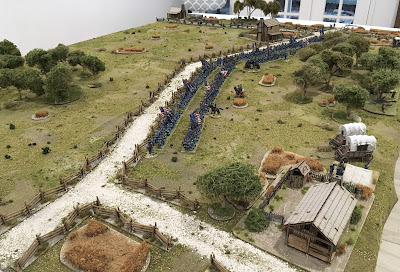 But his flank attack proves too slow and he is held up by the think vegetation to his front. 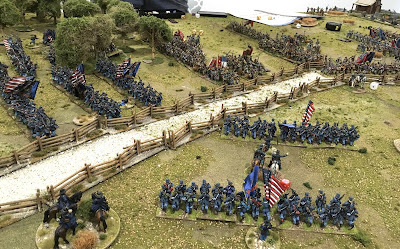 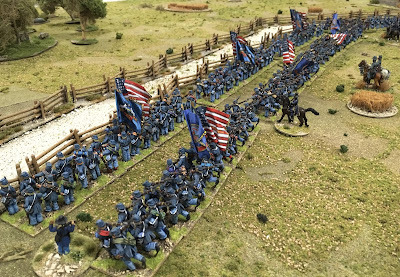 Shielded by skirmishers Brig Gen Kirkland's brigade advances rapidly towards the Union lines. 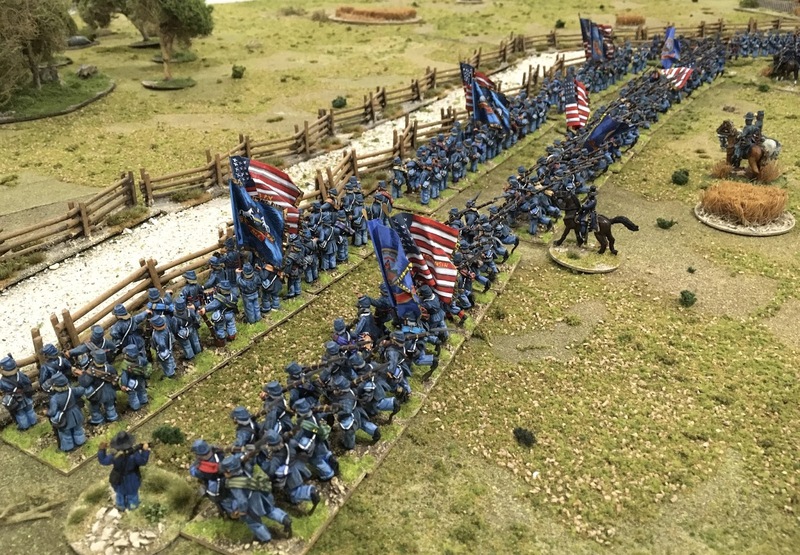 Rebel troops reach the road and easily push back the overstretch Union line forcing a gap between the two brigades. 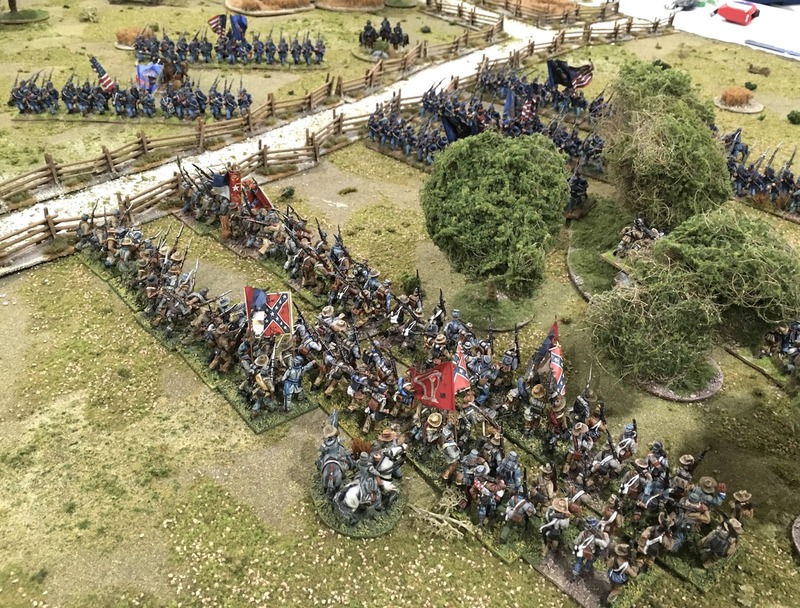 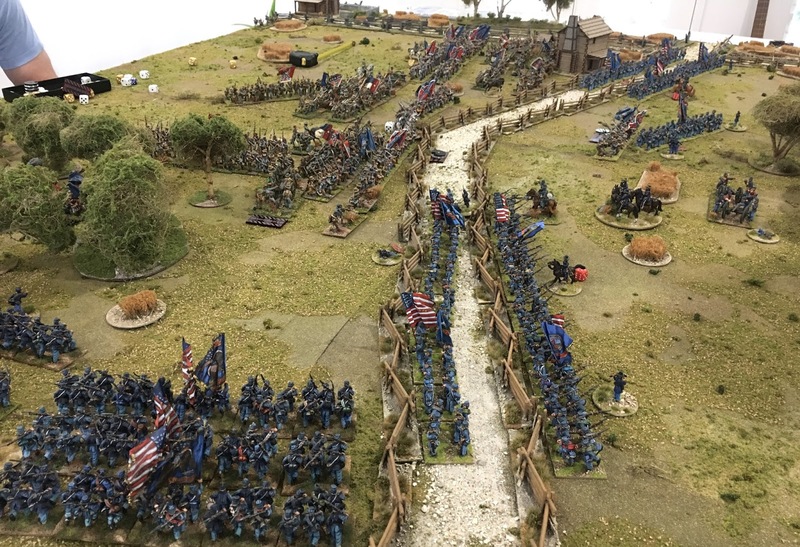 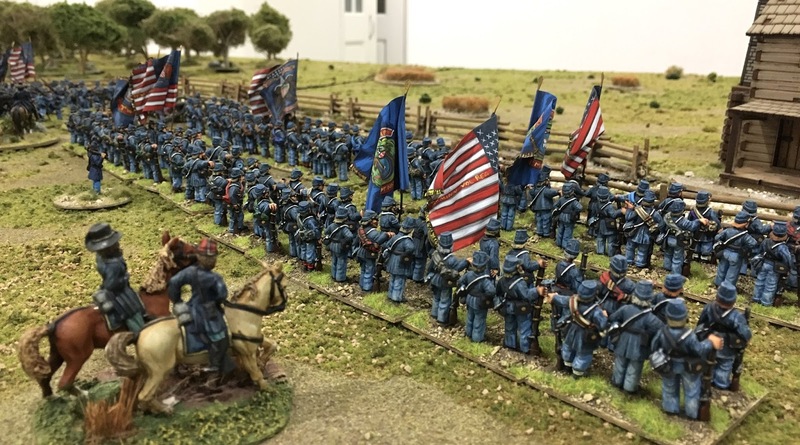 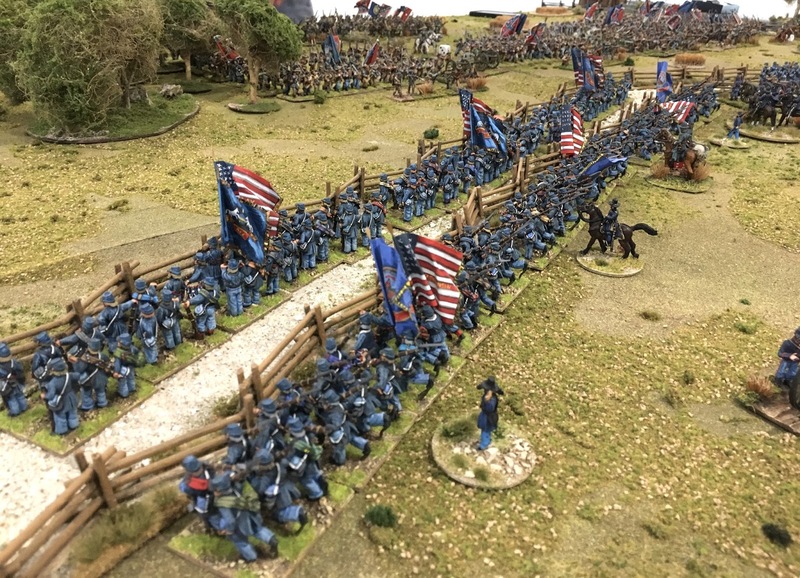 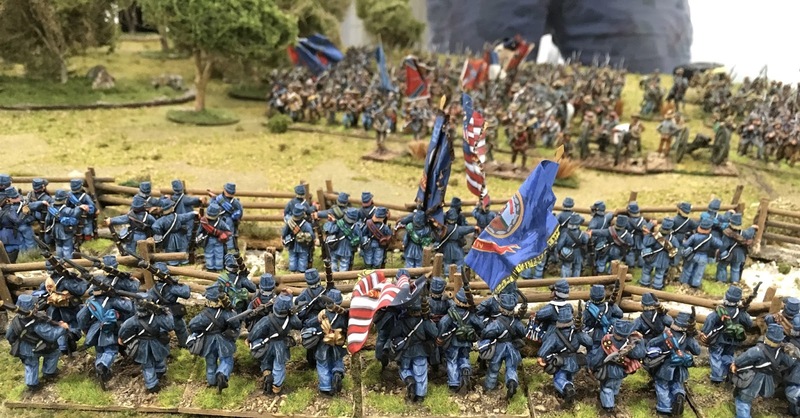 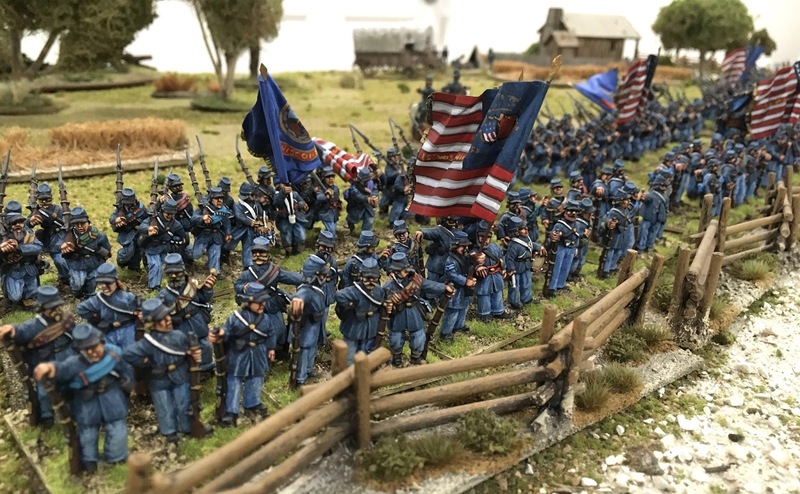 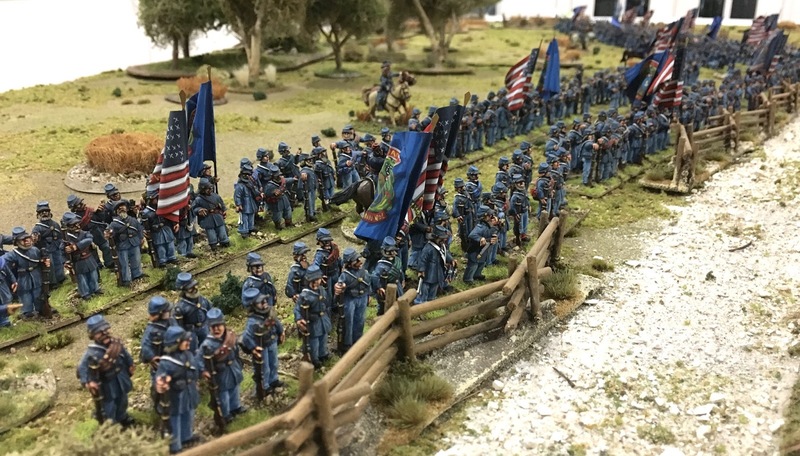 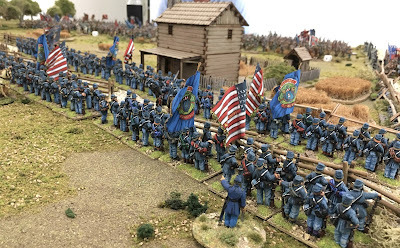 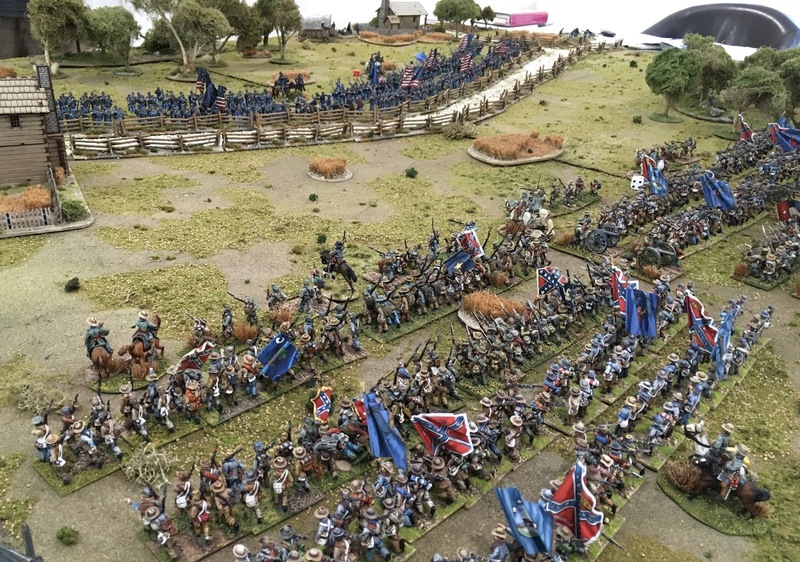 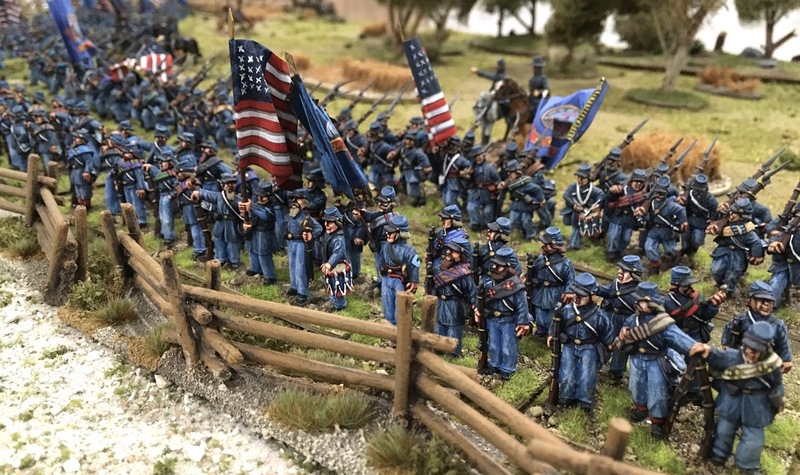 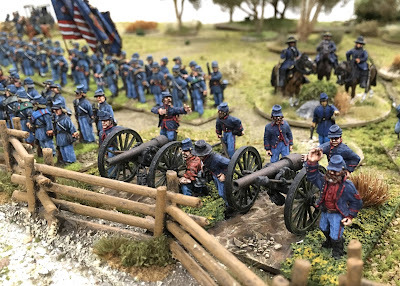 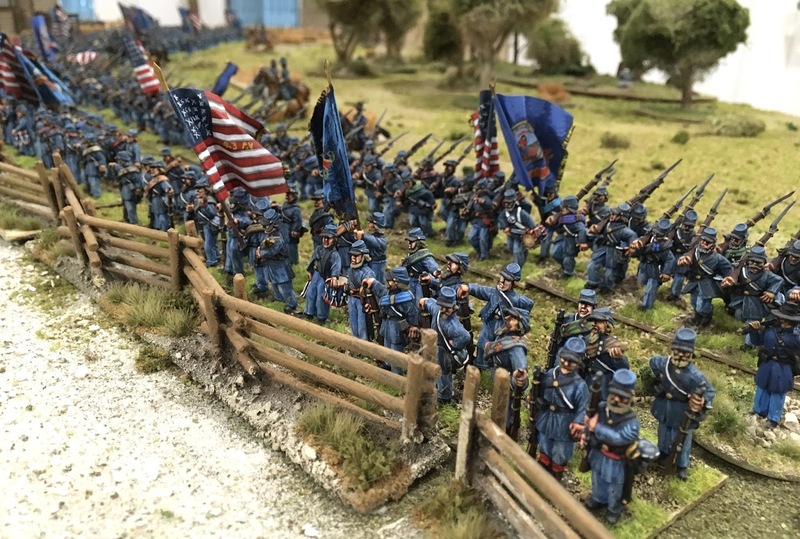 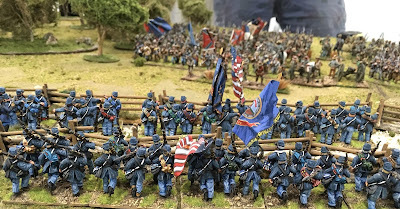 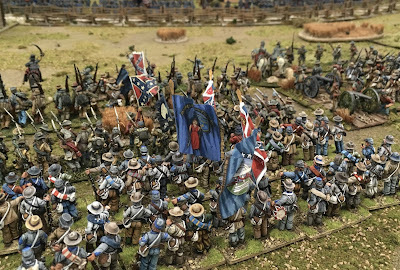 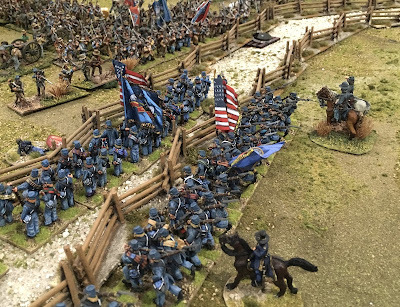 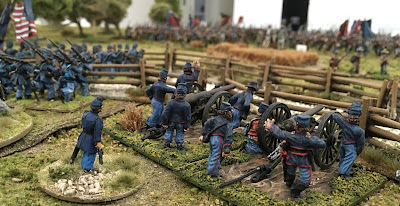 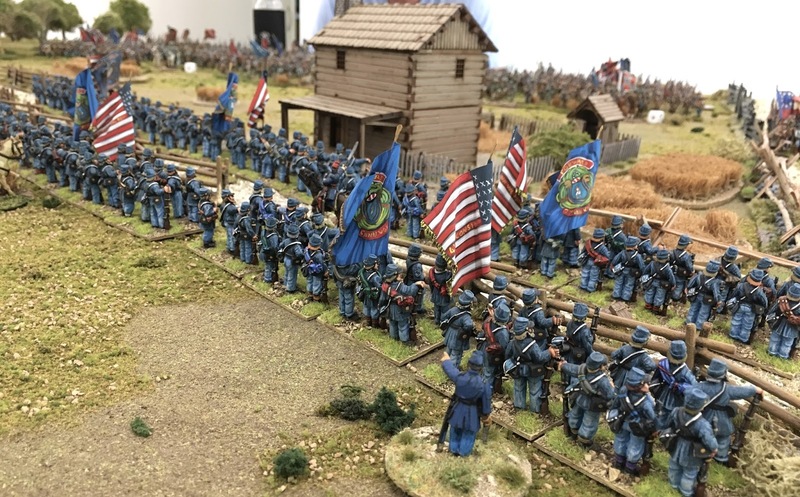 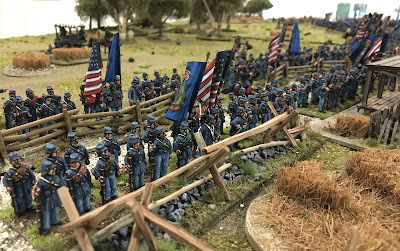 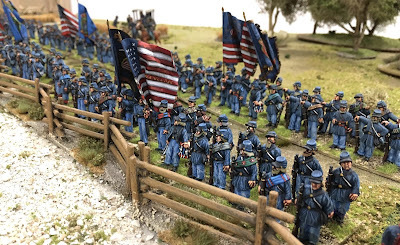 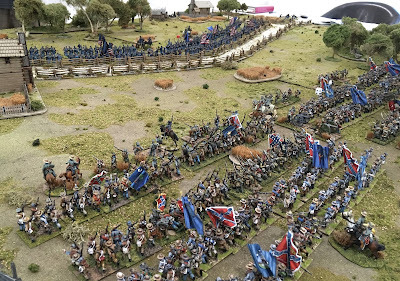 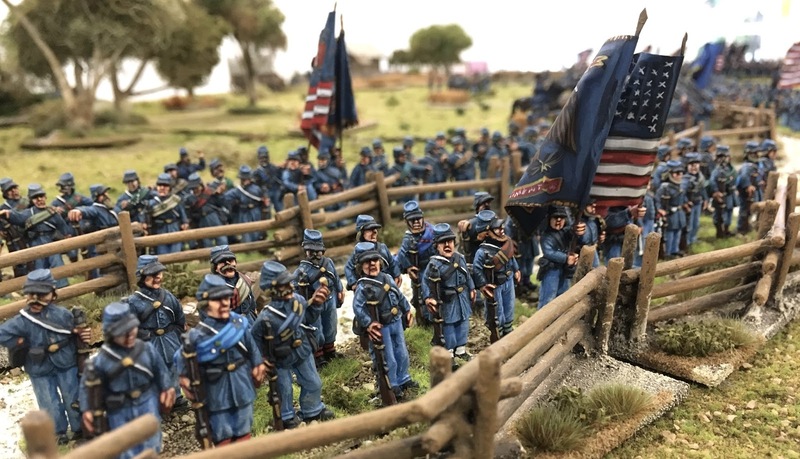 With the Union line broken in the centre each Union Brigade starts a desperate fight for survival as there is no longer and support from each other. Brig Gen William Kirkland directs his brigade in an all out assault along the Shady Grove Church Road. 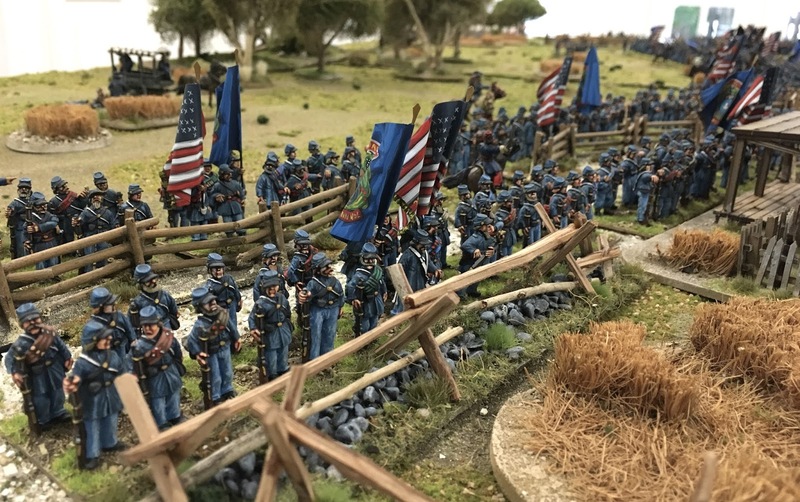 Our game proved a repeat of history. But it would have been hard for any Union Commander to hold the line against the mass attack of Confederate Brigades. Only some classy dice rolling may have saved the day.